DETAILS: This Personalized Black Enamel Stainless Steel Tankard is both practical and pleasing to the senses. Can be personalized with 2 lines 12 characters. 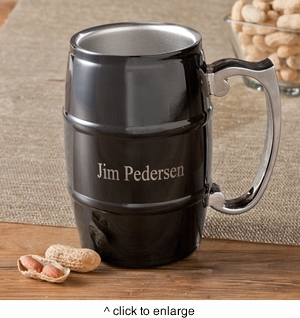 MARKETING: Groomsmen Gifts, Bridal Party Gifts, Father's Day, Barware.